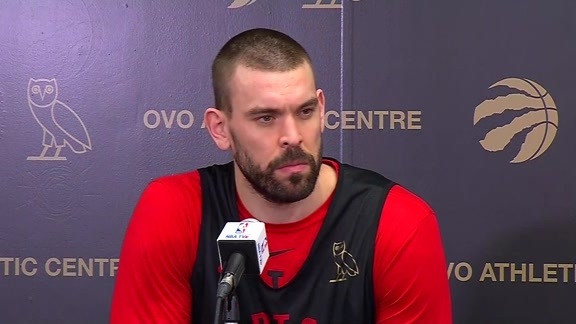 When Marc Gasol and Jeremy Lin became Toronto Raptors within a week of one another, their experiences were both the same and different. For Gasol, who had spent his entire NBA career in Memphis playing with the Grizzlies, it was the first time he had been traded. Everything was new. 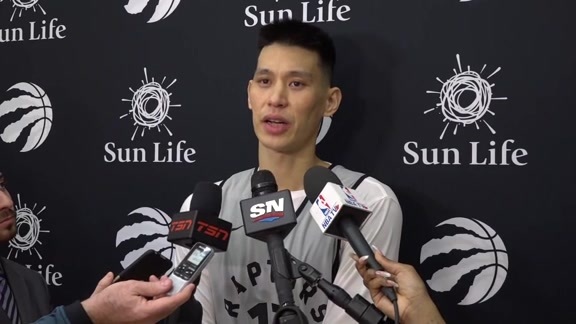 Lin had played for seven teams in his career prior to signing with the Raptors. 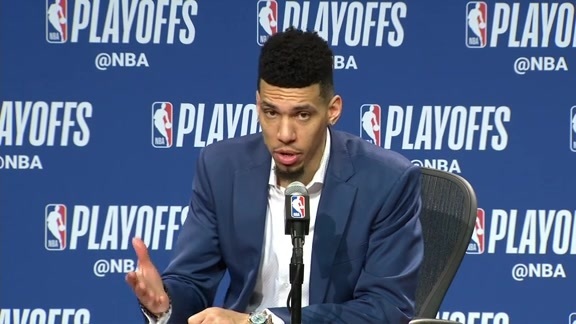 Getting adjusted to a new city and teammates was something he did have experience with, but changing teams in the middle of an NBA season was a first. With the help of teammates and coaches and plenty of solo film study sessions, both players are starting to find their way as the newest members of the team. In Toronto’s 128-92 victory against the New York Knicks on Monday, Lin led the way offensively, scoring a team-high 20 points off the bench on 7-for-11 shooting. Gasol was in the starting five and finished with a 12-point, 11-rebound double-double one game after putting up nine points, 11 rebounds and eight assists while flirting with a triple-double. Even casual NBA fans are familiar with Lin’s rise during the height of Linsanity, when he was a member of the New York Knicks during the 2011-12 NBA season. After a stint in Golden State the year before, Lin was claimed off waivers by the Knicks, and became the first player in NBA history to record at least 20 points and seven assists in his first five starts. These games included a 38-point performance at Madison Square Garden against the Los Angeles Lakers, as well as a 27-point, 11-assist performance en route to hitting the game-winning jumper against the Raptors in Toronto. In addition to his time with the Knicks, Lin has played for the Houston Rockets, Lakers, Charlotte Hornets, Brooklyn Nets and Atlanta Hawks. For Gasol, things unfolded a bit differently. Though he was drafted by the Los Angeles Lakers in 2007, he was still playing professionally in Spain when L.A. traded his rights to the Memphis Grizzlies in order to acquire his older brother, Pau, in 2008. In 11 years with the Grizzlies, Gasol was a three-time All-Star, a member of the 2014-15 All-NBA First Team and 2012-13 All-NBA Second Team and the 2012-13 NBA Defensive Player of the Year. He’s also had a lengthy and decorated career with the Spanish national team, winning two Olympic silver medals and a FIBA World Cup title. 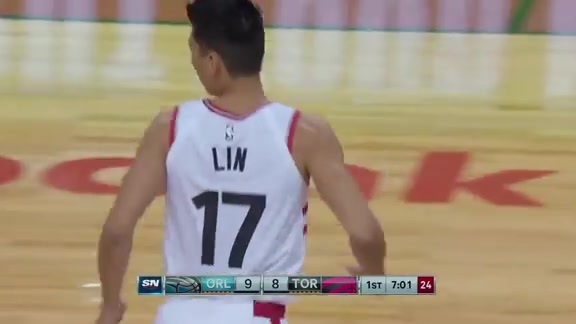 Lin’s first game in Toronto came with a standing ovation when he was announced. It also had his mom sitting in the stands. “She was in New York so she wanted to come here,” he said. “It was a lot of fun, she had a blast, we got a win, so she was enjoying it. I thought it was great. 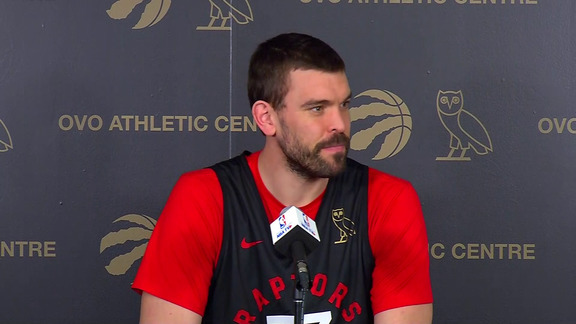 “[I’m] thankful for the standing O.” While Lin’s mother was able to make the flight and see her son’s debut with the Raptors, Gasol was waiting on his family to be able to join him in their new city. Though Gasol and Lin are still relatively new to the city and the team, things are getting smoother game by game. Helping to make it easier, of course, is a shared goal. “The thing that brings everyone together … We’re trying to win,” Gasol said.